With the Christmas holiday less than a week away, we Daves thought it was time to highlight one of the season’s guiltiest film pleasures. This Friday, our weekly Horror Host report will, no doubt, feature a few hosts airing it as well. 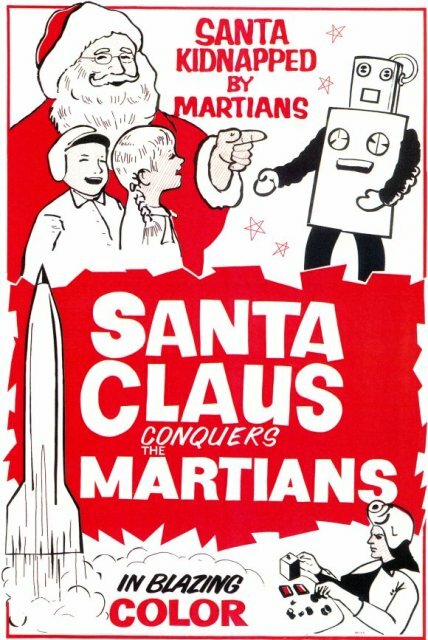 I am referring, of course, to SANTA CLAUS CONQUERS THE MARTIANS. 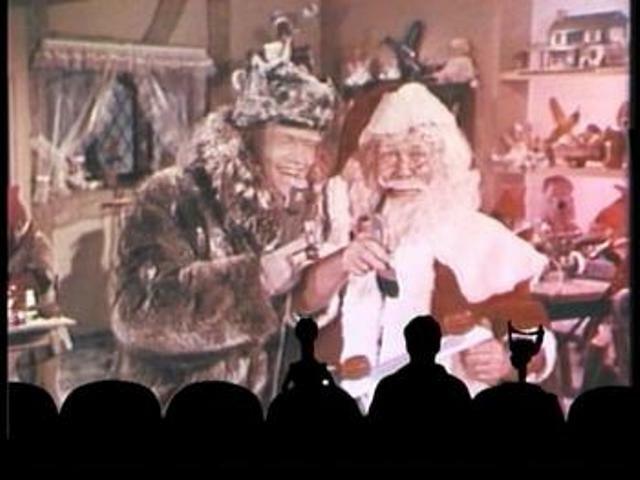 Just as the name implies, it is an absurd, camp extravaganza featuring some of the most hilariously bad scenes in film history along with a theme song (“Hooray for Santy Claus”) that will have you wanting to club yourself with a Yule Log! Here are some fun facts surrounding this unlikely classic…. 1) After its release (and even during) the film fell into obscurity and later the the dollar VHS bin at Wal-Mart. It wasn’t until the popular MYSTERY SCIENCE THEATER 3000 aired it in the 1990’s that it slowly built its cult status. As the film is Public Domain, it is a seasonal favorite of horror hosts across the country who continue to give it new life with thier own creative spins. 2) This past decade. the film had actually been considered for a remake – though it was never able to get itself off the ground. Rumor has it, Jim Carrey was suggested to play “Dropo” the Martian. 3) In 1993, a theatrical company here in my native Chicago did a stage production of SANTA CLAUS CONQUERS THE MARTIANS. Another was created in 2006 in California. 5) The film was directed by Nicholas Webster who would later go on to direct for hit TV shows BONANZA and MANNIX. Webster died in 2006. 6) The Martian guns are actually “Whammo Air Blasters” – painted for use in the film. 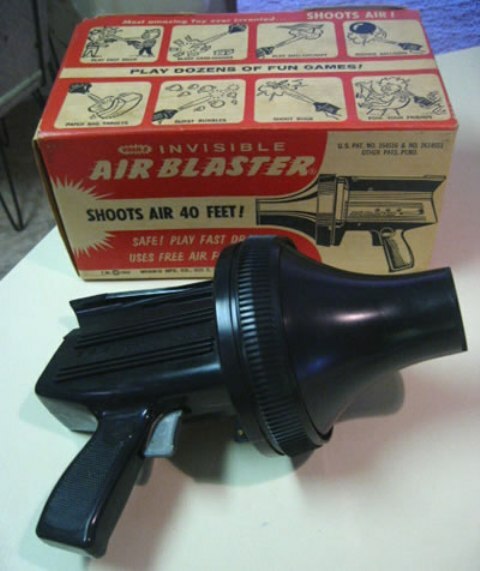 7) Aside from the “Whammo Blaster” an even more recognizeable toy is also featured. 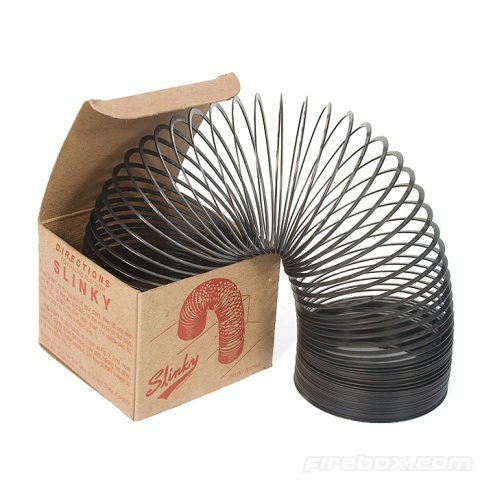 A scene depicting a Martian enthralled with a “Slinky” was indicative of its popularity in the early 1960’s – and the toy is still available today! Fun for a girl and a boy! 8) The movie was filmed in Long Island, NY in an abandoned aircraft hanger. 9) Stock footage in the scene featuring the military chasing the Martians was also used in the Academy Award nominated DR. STRANGELOVE OR: HOW I LEARNED TO STOP WORRYING AND LOVE THE BOMB. 10) Considered one of the “Worst movies ever made” it is often listed along with PLAN 9 FROM OUTER SPACE as being so bad its good. We Daves agree – but especially enjoy seeing it presented by a horror host! …oh but you already knew that, didn’t you? 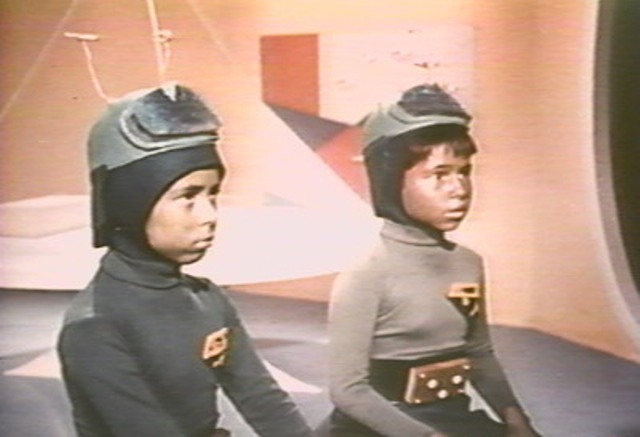 This entry was posted in Holiday Horror, Science Fiction and tagged MARTIANS, NICHOLAS WEBSTER, PIA ZADORA, PLAN 9 FROM OUTER SPACE, SANTA CLAUS CONQUERS THE MARTIANS, SLINKY, Svengoolie, WHAMMO AIR BLASTER. Bookmark the permalink. ← CHRISTMAS HORROR FILMS: Redux!